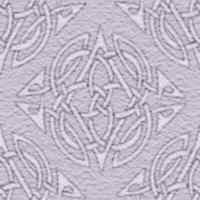 Welcome my pages about my Celtic conlang (constructed language), Caledonag, for which I have decided that the English name is Caledonic. This conlang is a notional, pre-Gaelic language of Scotland. It is a member of the Brythonic, or p-Celtic, branch of the insular Celtic languages, and in this regard it is related to Welsh, Cornish and Breton. It has many of the characteristics of Welsh, in particular the orthography, whilst having some Goidelic influences. Nobody knows what language the British inhabitants of Scotland spoke, but this is my attempt at creating one. It should be noted that the language I have created is on the premise that it was not displaced by Gaelic or, subsequently, English, and thus this is how I imagine it would be in the 21st Century had it survived. 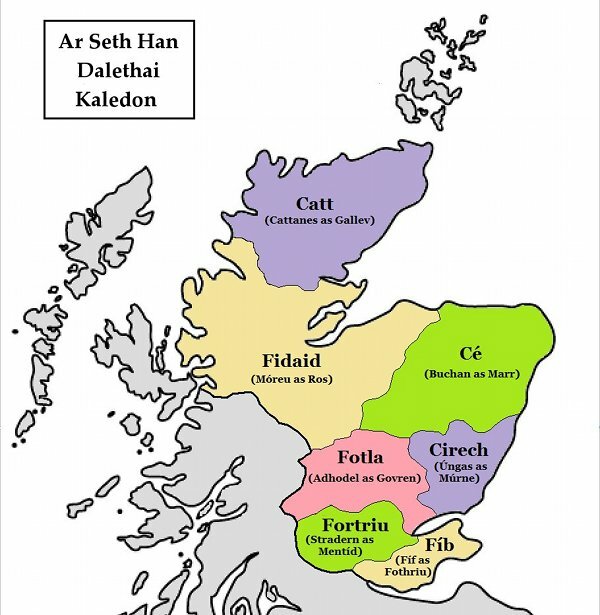 In my notional, Pictish land, the inhabitants call themselves Kaledonai, in English "Caledonians". They occupy the northern and eastern parts of what we call Scotland, covering roughly the area of the counties of Perthshire, Clackmannanshire, Fife, Kinross-shire, Angus, Kincardineshire, Aberdeenshire, Banffshire, Moray, Nairnshire, Caithness, Ross & Cromarty, Sutheralnd and the eastern parts of Inverness-shire, map of Pictland). The contents of these pages are based on a personal work, Ar Levar Kaledonag, or "The Caledonic Book". This work is not complete and new material will be added as time goes on, but for now, I hope you will enjoy reading about this elegant language. To get an immediate idea of the flavour of the language, click on the link for The Babel Text below. As always, this is a work in progress, although at the time of writing the conlang is at a pretty advanced stage. I am now working on the lexicon, which has around 500+ words, and I hope to get it up to at least 1,000 soon.